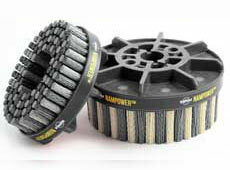 Brush Research's abrasive disc brushes are the leading choice for in-machine deburring, edge radiusing and surface conditioning applications. These Disc Brushes are the highest quality abrasive brushes on the market today and are proven to create consistent quality and cost effective results. The tools are easily integrated into today's automated machinery, CNC machining centers, transfer lines and robotic cells. 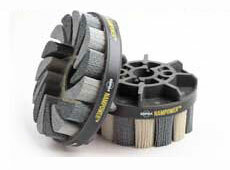 Learn more about our disc brushes by contacting us today.